Lucille was born on February 20, 1925 in Shelby County KY in the town of Christianburg to Hannah Gibson Bryant and Elisha Ford Bryant. She died peacefully on August 17, 2018 at the age of 93. In addition to husband Ed Yates she was preceded in death by: her sister Ruth M. Bryant (Thomas); twin brother Lucien B. Bryant; brother Cecil F. Bryant; and brother Sam R. Bryant. Lucille and her siblings grew up on a farm in Shelby County KY. Early in her life Lucille moved to Louisville and worked for her Uncle, Curtis Mayes, in his printing business. Lucille was ﬁrst married in 1945 to Howard Crawford; and she remarried in 1978 to Ed Yates. Except for her jobs in printing companies Lucille was a mother and home maker for most of her life. 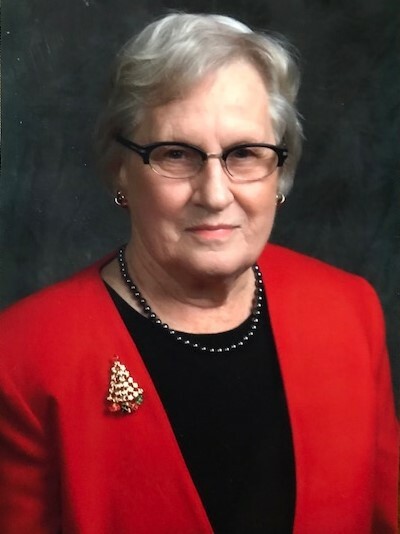 The primary love and joy for Lucille throughout her life were the times growing up on the farm in Shelby County and the time she spent with family, especially her grandchildren, and greatgrandchildren. She is survived by her only child, a son, H. Michael Crawford; 3 grandchildren: Matthew Crawford, Benjamin Crawford, and Carson Crawford McGraw; 6 great grandchildren: Henry, Oliver, Crawford, Fay, Harry, and Fred. The remembrance and burial of Lucille will be a private grave side ceremony for family.